The dictonary American Sign Language in 24 categories and the dictonary Arab Sign Language in 24 categories is printed and done. 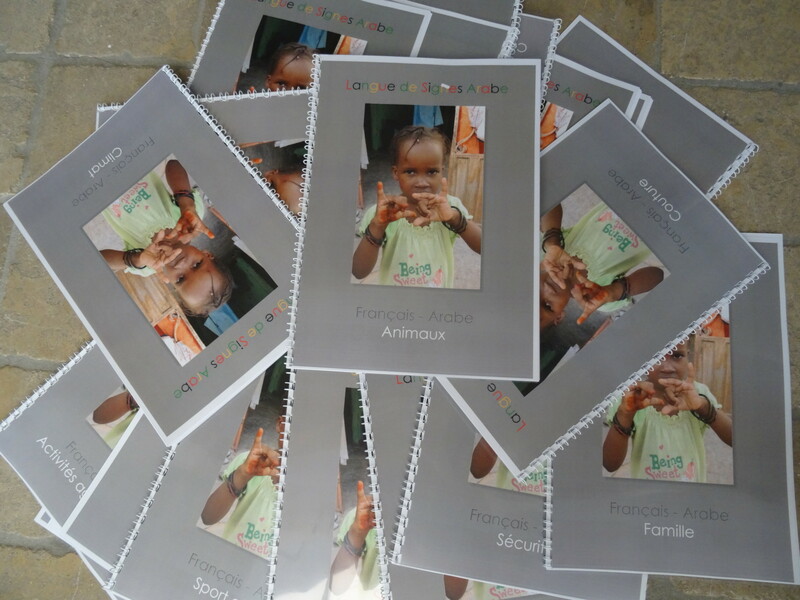 The schools for Deaf and the Maison des Sourds can use them now. Many signs in categories as animals, carpentry and sewing are shown in pictures.